​Brendan Rodgers oversaw another good ​Leicester win on Saturday as goals from captain Wes Morgan and Jamie Vardy saw off Bournemouth at the King Power Stadium. The Foxes could have won by a larger margin if it weren't for some superb defending from Bournemouth centre-back Nathan Ake and for a long time, the Dutch international kept the Leicester attacks at bay. Foxes boss Rodgers will have been pleased to see his side attack with verve and vigour, with Leicester's wingers particularly exciting. Speaking to the ​BBC after the game, Rodgers was impressed with his side's mentality in the game, saying: "I thought we were excellent. We showed a real appetite and hunger and tactically we were very good. Our pressing was excellent, the boys are understanding tactically how we want to press and the importance of that." 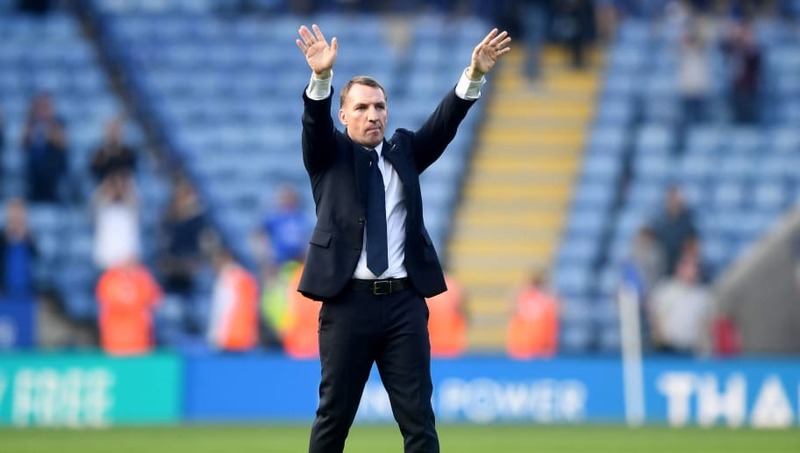 Rodgers went on to praise his players in an interview with Sky Sports and said that they played a part in his decision to join Leicester: "The reason I came is that they're a fantastic group of players. It is going to take time to holistically get over our ideas so it becomes the norm for the players." "What they have shown is a wonderful appetite to learn and embrace how we want them to play. Like I say they have shown really good tactical ideas in the games and that is very pleasing." Leicester will be aiming for a fourth successive win when they travel to Huddersfield next Saturday, with the Terriers condemned to relegation after losing to Crystal Palace on Saturday afternoon.